Cruise Control is an excellent aftermarket part to add to your vehicle. With speed cameras appearing all over the roads in Essex it makes sense to get cruise control fitted. with the ability on some cars to have two speeds programmed normally 50 and 70 MPH you can put your mind at rest by pressing the button and the cruise control system will take over. All cruise control systems we install are high quality from Italy. And with 2 safety features as standard these are the most cost effective and safest kits on the market. Cruise control can make longer journeys much more comfortable and can even help to save money on fuel. In addition, the cruise control feature will allow you to maintain your speed limit and avoid speeding fines. ( Even more so in motorway specs zones ) Cruise control is primarily suited for those who are going to be driving at a steady speed of at least 30 mph without constant stopping – so, on a motorway or highway rather than on a street with frequent traffic lights. Each car has a slightly different layout for the cruise control controls, but they are usually located on the steering column and it is controlled via a stalk behind the steering wheel. The main controls are ‘Set’, ‘Cancel’, ‘Resume’ and ‘On/Off’. You can usually adjust the programmed speed up or down using the same buttons . To activate cruise control in your car, you must first accelerate to the desired speed over 30 mph – then press ‘Set’. Your car will now maintain its current speed without the need to keep your foot on the accelerator. Turning off cruise control is as simple as applying the brake pedal or pressing the ‘Cancel’ or ‘On/Off’ buttons on the stalk itself. The feature is set up so that even a gentle tap of the brake pedal will shut cruise control off – requiring you to control the speed using your accelarator pedal again. 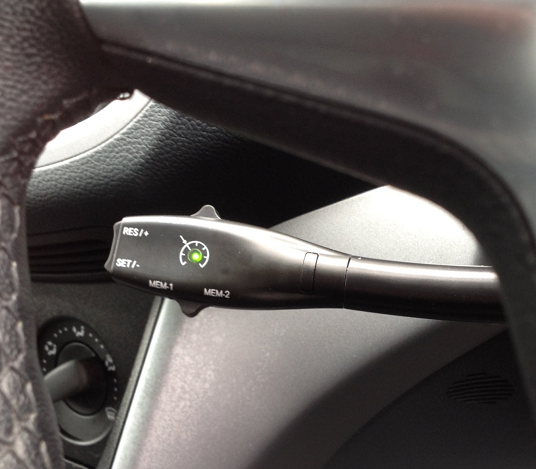 We supply and fit Cruise Control in Essex and all local area’s such as…. Basildon, Brentwood, Romford, Hornchurch, Barking, Dagenham, Ilford, Thurrock, South Ockenden, Billericay, Grays, Southend, Southwoodham ferrers, Chelmsford.